Fish are a reliable biological model to measure the environmental impact of different substances. Argentina is an agricultural producer country with its main crops being grains such as soybeans, wheat and corn; To increase the yield of the crops a large amount of herbicides are used. Among these the most used has been glyphosate, but others such as 2,4D and triazine are also used. There are different biomarkers in fish used to evaluate the toxicity of different substances, among them hepatic enzymes (GPT and GOT), muscle enzymes (AchE) as well as cell morphology (red blood cells) are the most used. We carried in this work a chronic toxicity study exposing to sublethal doses of the herbicides to young species of Cyprius carpio for a period of 21 days. Next we measure different biomarkers such as liver enzymes, muscle and cell morphology (red blood cells). The results obtained showed that the three herbicides cause alterations in the values of the liver enzymes. Atrazine also affects the levels of acetylcholinesterase, whereas atrazine and glyphosate produce alterations in the morphology of red blood cells. Fishes have been used in toxicity studies since 1950, showing over time to be a reliable model for measuring the environmental impact of different substances [1-3]; our working group has used an adaptation of the technique proposed by U.S. Fish and Wildlife Service Columbia National Fisheries Research Laboratory . This technique was modified in order to use lower amounts of tested compounds in several studies [5-8]. Argentina is a producer of agricultural commodities, its main crops being grains such as soybeans, wheat, and corn; to increase the yield of the crops a large amount of herbicides are used. Among these the most used has been glyphosate, but others such as 2,4D and triazine are also used; the amounts of herbicides discharged into the environment are alarming  and have led to the need for the realization of impact studies using different biomarkers. There are different biomarkers in fishes used to evaluate the toxicity of various substances, among them hepatic enzymes (GPT and GOT), muscle enzymes (AchE)  and cell morphology (red blood cells) are the most used . Transaminases (GOT and GPT) are enzymes widely distributed in the body. Its normal activity in serum is low or absent. The destruction of the tissues in which they are present leads to an increase in their presence in the serum. In addition, these enzymes are inducible by toxicity due to herbicides . In particular, pyruvic transaminase is an enzyme used to evaluate liver function, so its high concentration in blood confers some specificity in the diagnosis of toxic liver damage . In general, any damage to the liver will cause average elevations in these transaminases. Acetylcholinesterase (AChE) is an enzyme of the group of hydrolases that is present in most living beings, mainly invertebrates. It is located in the nervous system and muscles and is responsible for the regulation of the concentration of acetylcholine (ACh), a neurotransmitter involved in the cholinergic synapse in the nervous system, allowing the transmission of the nerve signal in the nervous system, central and peripheral. AChE inhibitors (AChEI) implies a large number of compounds with very varied structures, and which in the presence of AChE lead to inhibition of the enzyme, thus altering the cholinergic synapse . These compounds interact in different ways with the cavity of the active site of the enzyme, and depending on that are classified into three groups [15,16], of which we focused on the compounds that interact with the active site. The interaction of this type of inhibitors occurs with the triad present in the active site, mainly with the serine residue thereof, through the formation of stable esters that inactivate the active site. This characteristic is common in compounds used as toxins, pesticides and nerve agents. In general these compounds are harmful, toxic even fatal by the formation of covalent bonds with serine, causing partial or complete loss of enzymatic activity (Study of the inhibition of acetylcholinesterase and the structure-relationship of terpenoids isolated from marine organisms of the Colombian Caribbean Fabio Andrés Castellanos Castillo, National University of Colombia, Faculty of Sciences, Department of Chemistry, Bogotá, Colombia, 2014. The formation of morphological nuclear anomalies (NA) was first described in fish erythrocytes by Carrrasco et al. . NA, like for example blebbed nuclei (BL), lobulated nuclei (LB) and notched nuclei (NT) and binucleated cells (BN), has been used by several investigators as possible indicators of genotoxicity [18,19]. Although the mechanisms responsible for A have not been fully explained, such abnormalities are considered as indicators of genotoxic damage and, therefore, can complement the micronucleus score in routine genotoxicity surveys. In this work, we conducted a chronic toxicity study exposing juvenile species of Cyprinus carpio to sublethal doses of the three herbicides. For such a study, we expose the species for a period of 21 days to then measure different biomarkers such as liver enzymes, muscle and cell morphology (red blood cells). Juvenile fish of the species Cyprinus carpio (FIG. 1), with an average weight of 5 g and average length of 4.8 cm; were exposed to sub-lethal doses for a period of 21 days in containers at a fish/volume ratio of 1/3 L. The data for the sublethal doses were obtained from a previous study . The conditions were standardized at room temperature and photoperiod, weekly water replacement, feeding once a day with Shulet® brand food and external aeration supplied. Three fish from each of the tested lots (control and 3 herbicides) were sacrificed by decapitation with a scalpel, the viscera and muscles were separated in different containers. With each of these samples maceration was performed, all in the same dilution (% P/V) with physiological solution (SF). They were centrifuged for 10 minutes at 4000 rpm. Immediately the supernatant was separated, from which the corresponding analyzes were carried out. In the case of hepatic transaminases (GOT and GPT) the assays were made from the supernatant of viscera. The protocols followed are those specified by the manufacturer (Wiener Lab) based on the use of a specific colorimetric enzymatic method (Transaminases 200, Wiener). 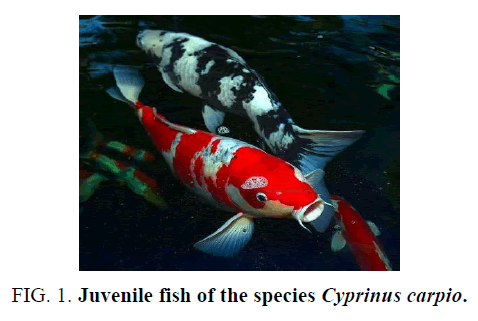 Figure 1: Juvenile fish of the species Cyprinus carpio. The pyruvate formed (oxaloacetate is unstable and is transformed into pyruvate) reacts with 2,4-dinitrophenylhydrazine producing, in an alkaline medium, a colored opposite measuring at 505 nm. For the determination of AchE, we used the supernatant of the muscle tissue of the caudal area; the method used is that indicated in the protocol specified by the manufacturer (Wiener Lab) based on the use of a kinetic method at 405 nm (Cholinesterase, Wiener). It constitutes an index of liver function, especially in chronic liver diseases. A good correlation is observed between the increase in GOT (AST) and the decrease of Che, in poisoning by organophosphorus insecticides, Che inhibitors. For the blood smears: blood smears were made, which were colored with the extended May-Grünwald-Giemsa technique. This was done by placing the extended 3 minutes with May-Grünwald dye, washed and precipitated with tap water for one minute and then 30 minutes with diluted Giemsa dye. Obtaining images: the photographs were obtained with a 13-megapixel camera with an aperture f/1.9 through the microscope eyepiece with an increase of 40 x in the objective. The evaluation of the chronic toxicity of the commercial formulations of the three herbicides against Cyprinus carpio was carried out according to the technique described in the previous section; the evaluated forms were: Round-Up (glyphosate); Atrazine 90 WG Equipagro (Atrazine) and Herbifen Amina TD (2,4 D). The data of the sublethal dose values to be evaluated for the solution of Round UP (glyphosate) were taken from previous studies conducted by our research group , determining that a dose of 6 mg/L of active ingredient did not cause mortality. For the other two herbicides, equal doses were evaluated. In the case of enzymatic analyzes, the main results obtained are presented in TABLE 1. Table 1: Results obtained of enzymatic analyzes. In TABLE 1 we can observe significant increases in the case of liver enzymes produced by herbicides formulated with 2,4 D and atrazine, while in the case of glyphosate a similar situation can be observed for GOT. These results are consistent with those obtained by other authors in relation to increases in the levels of GPT and GOT in fish exposed to toxic substances; 2.4 is presented as the formula that causes the greatest increase with respect to the control. For the muscle enzyme acetylcholinesterase, the observed effect is a significant decrease, in this case, it occurs for the three commercial formulations, observing the biggest difference with atrazine. Once again, effects similar to those already reported by other authors have been obtained in our studies. Statistical studies were conducted with Software Graph Pad Instat vs 3.1. Table 2: Table of descriptive parameters. To compare the existence of significant differences between the enzymatic values obtained for the different treatments, apply One-way Analysis of Variance (ANOVA), obtaining for the three cases a p-value <0.0001, so they can be considered extremely significant. To compare the effects of the different herbicides with respect to the control, the Tukey-Kramer Multiple Comparisons Test is applied. For a degree of significance of 5%. In GPT: of control vs glifosato P ≥ 0.05 (no significant); vs atrazine P<0.001 (very significant) and vs 2,4 D P<0.001 (very significant). Comparing the microscopic observations of the control fish where we can observe that they have morphology and normal size (FIG. 2); blood smears from fish exposed to the formulation of Gligosate show a slight macrocytosis and poikilocytosis (increase in size and different forms, not normal), FIG. 3. In the case of Atrazine blood smears, toxic granulations (Heinz Bodies) were observed in an amount of 10 per 100 erythrocytes, FIG. 4. Figure 2: Morphology and normal size of fish. 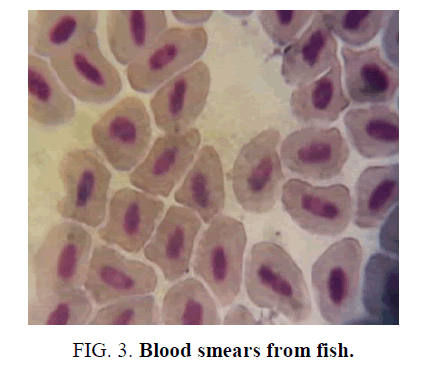 Figure 3: Blood smears from fish. 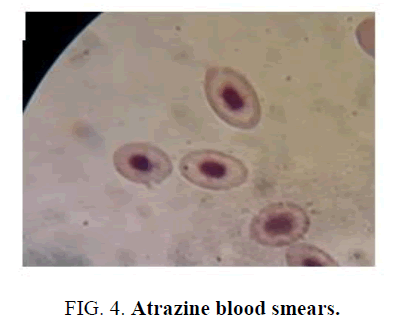 Figure 4: Atrazine blood smears. The results obtained showed that the three herbicides evaluated here provoke important alterations in the values of the liver enzymes of the treated fish. Atrazine affects acetylcholinesterase levels and both atrazine and glyphosate produce alterations in the morphology of red blood cells; These effects can undoubtedly be a limitation for the survival of the specimens in the natural environment, so these results warn about the effects of the application of the herbicides on bioindicator organisms and justify a redirection of the crops towards more sustainable methodologies. Davis JT, Hardcastle WS. Biological assay of herbicides for fish toxicity. Weeds. 1959;7(4):397-404. Doudoroff P, Anderson BG, Burdick GE, et al. Bio-assay methods for the evaluation of acute toxicity of industrial wastes to fish. Sewage and industrial wastes. 1951:1380-97. Lushchak, OV, Kubrak OI, Storey JM, et al. Low toxic herbicide roundup induces mild oxidative stress in goldfish tissues. Chemosphere. 2009;76:932-937. Busquet F, Halder M, Braunbeck T, et al. 2013. Oecd guidelines for the testing of chemicals 236. Fish Embryo Acute Toxicity (FET) Test. The OECD observer. Organization for Economic Co-operation and Development. Johnson WW, Finley MT. Handbook of acute toxicity of chemicals to fish and aquatic invertebrates: Summaries of toxicity tests conducted at Columbia National Fisheries Research Laboratory, 1965-78. US Fish and Wildlife Service; 1980. Mascotti ML, Enriz RD, Giannini FA. Acute toxicity study of commercial antifungal drugs using Poecilia reticulata. Lat Am J Pharm. 2008;27(6):904-05. Bisogno F, Mascotti L, Sanchez C, et al. Structure-antifungal activity relationship of related cinnamic acid derivatives. J Agric Food Chem. 2007;52(26):10635-40. Garibotto FM, Garro AD, Masman MF, et al. New small-size peptides possessing antifungal activity. Bioorganic and medicinal chemistry. 2010;18(1):158-67. Kleffman Group Argentina. Camara de Sanidad Agropecuaria y Fertilizantes. 2012. http://www.casafe.org/publicaciones/estadisticas/. 2018. Houghton PJ, Ren Y, Howes MJ. Acetylcholinesterase inhibitors from plants and fungi. Natural Product Reports. 2006;23(2):181-99. Alvarez Mendoza FJ. 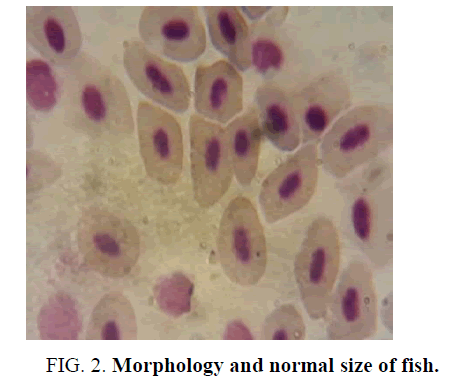 Hematological evaluation of three fish species Ictalurus punctatus, Morone saxatilis, and Micropterus salmoides, under conditions of malnutrition (Doctoral dissertation, Autonomous University of Nuevo León). 1997. Rip JW, Cherry JH. La ampliación hepática inducida por el herbicida 2,4,5-Trichlorophenoxyacetic Acid (2,4,5-T). J Agric Food Chem. 1976;24:245-50. Cavas T, Konen S. Detección del daño citogenético y del ADN en eritrocitos periféricos de peces dorados (Carassius auratus) expuestos a una formulación de glifosato utilizando la prueba de micronúcleo y el ensayo del cometa. Mutagénesis. 2007;22:263-8. Rahat MI, Tayyaba A, Usman A, et al. Evaluation of the acute toxicity of profenofos and its effects on the behavioral pattern of fingerling common carp (Cyprinus carpio L., 1758). 2009; 82(5):569- 73. Pohanka M. Cholinesterases, a target of pharmacology and toxicology. 2011;155(3):219-30. Argota-Pérez G, Pérez-Andrés IY, Iannacone J, et al. Behavior of refuge and activity of the cerebral acetylcolinesterase in Gambusia punctata (poey, 1854) (Poeciliidae) by bioavailable lead. The Biologist (Lima). 2018;16(1):171-9. Carrasco K, Tilbury KL, Myers MS. Assessment of the piscine micronucleus test as an in situ biological indicators of chemical contaminant effects. Can J Fish Aquat Sci. 1990;47:2123-36. Da Silva Souza T, Fontanetti CS. Micronucleus test and observation of nuclear alterations in erythrocytes of Nile tilapia exposed to waters affected by refinery effluent. Mutat Res. 2006;605:87-93. Thrall MA, Baker DC, Campbell TW, et al. Veterinary hematology and clinical chemistry. Lippincott Williams and Wilkins, USA, 2012;2:61-75. Jofré DM, Germano García MJ, Salcedo R, et al. Fish toxicity of commercial herbicides formulated with glyphosate. Journal of Environmental Toxicity. 2013;4:199-202.